For imaging professionals and the health care systems within which they ply their trade, there are few organizations that carry the weight of the American College of Radiology (ACR). Among its various strategic interests, the society is dedicated to process improvement in the field of medical imaging, and one of the mechanisms by which it seeks to raise that bar is through imaging equipment evaluation and certification. ACR accreditation is not only beneficial for patients, but can have an impact on decisions involving equipment service and purchasing as well. 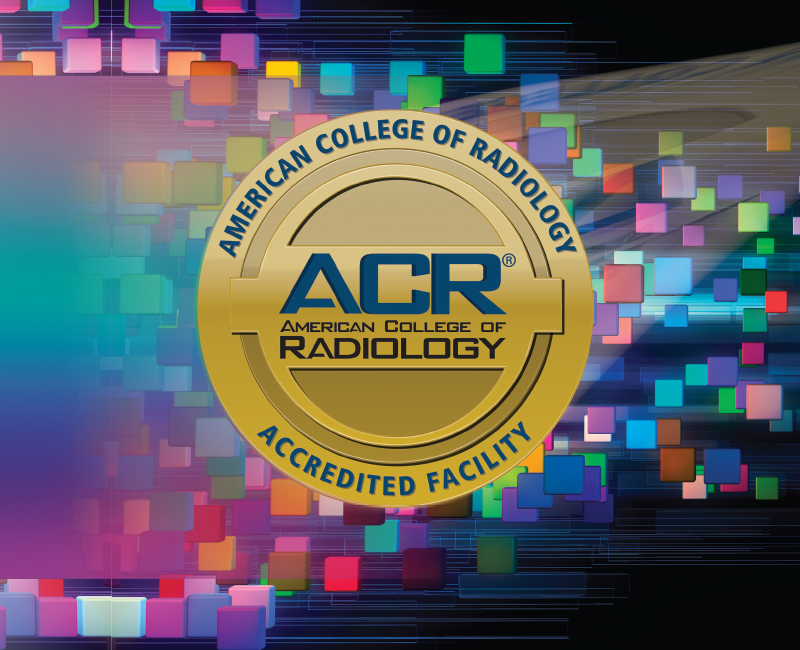 The ACR accreditation process requires that a medical physicist annually survey each imaging device in a given institution, performing detailed tests and evaluations of its capacity to meet the college’s program requirements for any of 10 different modalities, including CT, MRI, mammography, ultrasound, nuclear medicine, radiation oncology, and stereotactic breast biopsy. The physicist’s assessments follow quality control manuals outlining procedures and performance criteria for each, and they can be tested by the use of an imaging phantom as well as case studies. Facilities have 45 days from the receipt of their testing materials from ACR to complete all requirements; once returned, the results are returned within 60-90 days. A successful application results in a certificate of accreditation that’s valid for three years; about eight months before its expiry, ACR will send along a renewal notice to the facility, and the process begins again. But even beyond the purposes of the accreditation survey, close collaboration among a medical physicist and the institutional partners who select, service, and replace the equipment in question is critical to maintaining the quality of the device, said Krista Bush, ACR Senior Director of Accreditation. Passing the ACR accreditation only means that the certified equipment meets the minimum requirements for accreditation. If accreditation is denied, there may be any number of reasons why: poor image quality, technological or protocol issues, equipment malfunctions, failure to follow testing requirements, or even problems with the phantoms used for the purposes of the accreditation process. But even a denied accreditation can help a facility make important improvements, from imaging protocol revisions, device repairs, improved preventative maintenance schedules, adding or changing service agreements, or retiring malfunctioning equipment from use. Sites have the option to retest the areas they are deficient in to achieve accreditation. Proper maintenance of the equipment is one element to ensure quality and safety. The evaluation of equipment performance as part of an ongoing quality control (QC) program can be instrumental in building a business case to justify the purchase of new equipment. What’s more, documentation of QC – including acceptance testing, annual survey, routine QC tests, and preventive maintenance – is often a governmental regulation. Most importantly, a routine QC program provides an opportunity for education and practice quality improvement. ACR accredits hospitals as well as freestanding imaging centers, and retaining an ACR certification requires the establishment and maintenance of an ongoing QC program supervised by a qualified medical physicist. Those facilities that pass accreditation across all modalities offered can consider an application to become an ACR-certified Diagnostic Imaging Center of Excellence (DICOE), a designation that requires documented routine preventive maintenance, quality control records, and an annual medical physicist survey. Kari Prince-Adams is senior director of imaging services for Piedmont Fayette Hospital in Fayetteville, Georgia. Among the other benefits to ACR accreditation, Prince-Adams said it helps elevate the profile of her community hospital in the city of 16,000. Piedmont Fayette is ACR-accredited in a number of imaging modalities, and its equipment maintenance is handled by an in-house imaging service team that manages two MR machines, four CT scanners, seven X-ray machines, 10 ultrasound units and five mammography machines. Even with each device on a different schedule for accreditation review, the application process is streamlined and more easily managed internally at Piedmont Fayette “because it’s an expectation,” Prince-Adams said. If the imaging machines are functioning appropriately, then they will return images that can meet the ACR standard, which tells Prince-Adams a few things: first, that the equipment is in good working order, and second, that the radiation doses her patients are receiving are within appropriate limits, “and that’s what ACR is checking,” she said. Just as it’s an expectation that her department documents its processes for the ACR review, Prince-Adams said the imaging staff at Piedmont Fayette also track and monitor the amount of ionizing radiation each patient receives in his or her electronic medical records. Despite the extra step, the safety metric contributes to better health outcomes, as the information is shared with other directors system-wide. Dose monitoring also has helped inform decisions around medical equipment, including when and whether to retire outdated systems, what features to look for in purchasing new imaging devices, and the timing of their maintenance, Prince-Adams said. Since Piedmont Fayette has switched to an in-house maintenance crew, the department has been able to synchronize its repairs, eliminate a variety of outside service contracts, and establish a ticketing system that allows decision-makers to more closely track device management issues, she said. This information also contributes to annual capital budget planning; although the in-house, five-year plan typically favors replacing older equipment first, dose reduction is always a factor in the decision. Although the process can be stressful for those who are trying to submit the best-quality images for consideration, Prince-Adams said the ACR standardized process is clearly documented, and that the hospital refers to its website for support as well as to its own internal resources, which include an ACR ambassador and monthly, system-wide meetings among the Fayette radiologists. In addition to hitting their marks with the imaging phantoms, Prince-Adams suggests that departments that come across an interesting case might want to flag the file for sharing with ACR at accreditation time. As president of diagnostic imaging at Digirad of Poway, California, Virgil Lott is frequently called upon to provide institutional consultancy on the ACR accreditation process. Lott said it differs from other accreditation surveys for its high emphasis on image quality and patient services moreso than other certifications. As a result, he said sometimes institutions can get stuck on some of the technical aspects of the process, and may call on Digirad for help. To his thinking, the two things that can most affect the success of an ACR accreditation application are the frequency of preventive maintenance – at least twice annually, Lott said – and the completion of data quality controls by in-house technologists. By mandating that the staff who operate the machine day in and day out be involved in certifying its compliance with ACR standards, he believes the people who know the equipment best will be able to acquire the best images with it. Lott said that guidelines incorporated within the ACR requirements help improve institutional processes beyond merely meeting the standards of the accreditation application. When frequency of equipment maintenance is connected with an accredited body like ACR, it is typically an improvement over existing protocols and procedures, meant to improve patient safety and care. Implementing such standards doesn’t negatively affect operations, and can help lengthen equipment lifespans, especially as they’re taken into consideration by equipment manufacturers in the development of their products, he said.